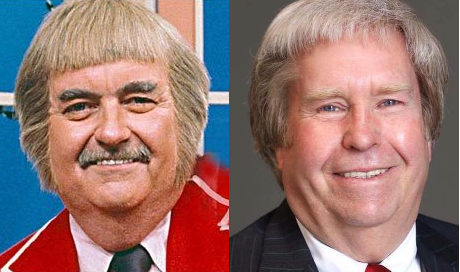 Several Mean Readers have pointed out a striking similarity between North Dakota State Senate candidate David Clemens and the children’s TV show star Captain Kangaroo. See for yourself if you can tell which one of the two men in the photo above is David Clemens, and which one is Captain Kangaroo. David Clemens is on the left, and Captain Kangaroo is on the right. 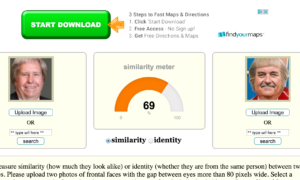 We ran both their pictures through a highly sophisticated face recognition software program which came up with a 69 percent match. On Saturday he issued a statement saying he wasn’t racist — and his proof was that his company doesn’t only hire white people. On Sunday, we reminded readers that Mr. Clemens once took an illegal loan from a Christian non-profit so he could buy a truck. Clemens in running in West Fargo’s District 16 against incumbent Democrat Tyler Axness. Do you know any other ND politicians or candidates who look exactly like someone else? Let us know at tips@meanread.com. Be the first to comment on "ND Legislative Candidate Looks Exactly Like Captain Kangaroo"